How do you get the world to read in Indian? I’m quoting a young Italian editor who said this when she discovered the wealth of Indian literature outside the narrow confines of writing in English recently. Part of the problem has to do with the demands of publishing as a market place—Indian writers in regional languages were seen as less glamorous, less marketable. The recent London Book Fair saw a slight but significant shift when writers like U R Ananthamurthy—one of the few Indian writers recognized in the West—and Sankar were given an attentive, and eager, ear. A few literary journalists commented on the frustration of knowing a country only through one of its many languages. 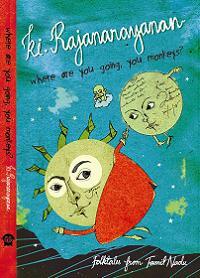 Perhaps we’re seeing a new openness to reading Indian writers in translation. For years, translators such as the venerable and fluent Gita Krishankutty have done their work in relative silence. In an interview after winning the Crossword award for translation, Krishankutty, who has translated writers from K Satchidanandan to V K Madhavan Kutty, spoke with sadness of the invisibility of her work—discovering that the books she’d worked on were not available in bookstores. To illustrate how complex the translator’s task can be, he speaks of three different books. 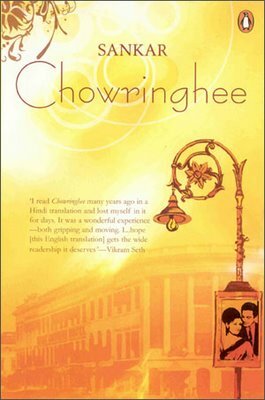 “Chowringhee, by Sankar, is a cascading text, piling on phrases, sentences, metaphors and references in masses of words with high emotional content,” says Sinha. Translating it into English, an “essentially more reserved language”, required a balance between “restraint and exhibitionism”. The isolation that translators in India work in seems incredible, given the number of languages we have, and the great need for good translation. But despite the efforts of Katha, Siyahi and other literary groups to bring translators together, most of them work in a kind of absolute solitude. “I don’t know any translators from other languages, except Tamil,” says Pritham. She stresses the need to work with a good editor, which made a big difference in her view to the quality of both of Blaft’s anthologies. Sinha agrees, saying, “I’m afraid there’s no real community of or exchanges between translators. And publishers do not work as closely with translators as they do with authors.” But there are signs of change—more cynically, if the US and European markets start to look with greater interest at Indian writing in translation, there will be better opportunities for translators and a demand for higher quality translations. A possible way forward is shown by Musharraf Ali Farooqi, translator of The Adventures of Amir Hamza, and an acclaimed author (The Story of a Widow) in his own right. Farooqi had once commented with dismay on the average reader’s resistance to works in other languages: “Storytellers always traveled and spread their stories; now you need a visa.” He’s not waiting for his paperwork, so to speak. Instead, he’s kicked off the ambitious Urdu Project, which plans to focus on classical and contemporary Urdu literature. Its first publication demonstrates the size of its ambitions—a translation of the 24-volume epic Hoshruba. Perhaps this is the way forward for translators—to effectively turn publisher and build their own list of the quirkiest, most unmissable books you and I have never read. nilanjana, might hearten you to hear that my kind of girl was rhi’s most talked about book at the lbf. its sold in italy, spain, had a massive pre-empt in germany. and we have an offer for france. one of the scouts picked it as her dark horse for the fair. our foreign rights agent is getting requests for it from everywhere. so there will be more coming in.i think the key is to pick stories that work and then publish them not as ‘translations’ but as an amazing story. we pitched my kind of girl as a beautiful, old fasiohioned love story, with a yummy jacket, rather than buddhadeba bose’s first novel to be translated into english.you should see musharraf’s cover for his self-published edition of hoshruba. it looks like a new age lord of the rings cover. sorry me again: and watch out for the first volume of hoshruba’s publication in india in late summer.